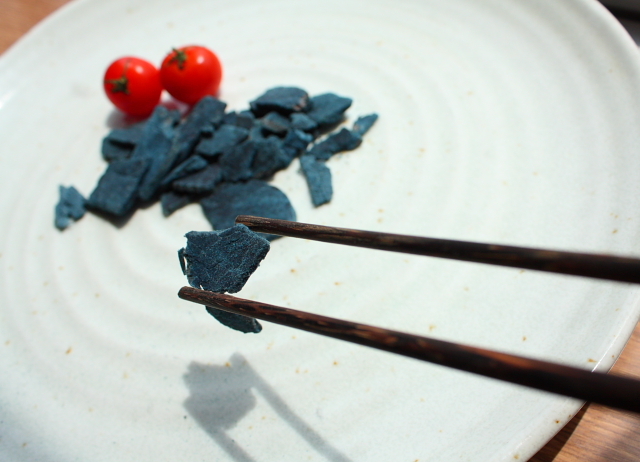 "Zombie Meat," an exquisite new Japanese snack for the horror enthusiast, consists of bite-sized chunks of tender blue flesh that, according to the package, has been aged to deadly perfection at the graveyard. The ghastly meat snack, which tastes remarkably like peppered beef jerky, can be found at select shops in Japan for 399 yen (about $4.50) per pack. im gonna get a pack to play with LOL! It should come in a two pack... combined with BRAIN!... serioously the packaging was what sold me. That is so freakin awesome! I sooo have to find some now. Wonder if there is someplace that would import it. Hmm, i wonder what it actually is? I want some zombie meat. Anyone know where I can order this in the U.S? I eat human kidneys, livers, intestines, and brains for breakfast! I acquire them by grabbing that guy who got separated from his friends who carry something that can put out fast hot small round shaped metal which can make holes at my body. Good thing those guys with their creepy "peeelzzzz hereee", "Kiddieland! ", "I hate elevators", "Jimmeh Gibbs!" are not around. They can be annoying sometimes. Hey maybe I should go to Japan, I wonder how delicious it will be? I WANT IT I WANT IT I WANT IT. Wonder if they have evil Zombie flavor? i think I will die eating that. "Sigh" If only they had vegetarian zombie meat..
Randomsadas » Blog Archive » La pregunta es…Sabe a cerebros?!? Carne seca de Zombies! ¿Quién quiere carne de Zombie? 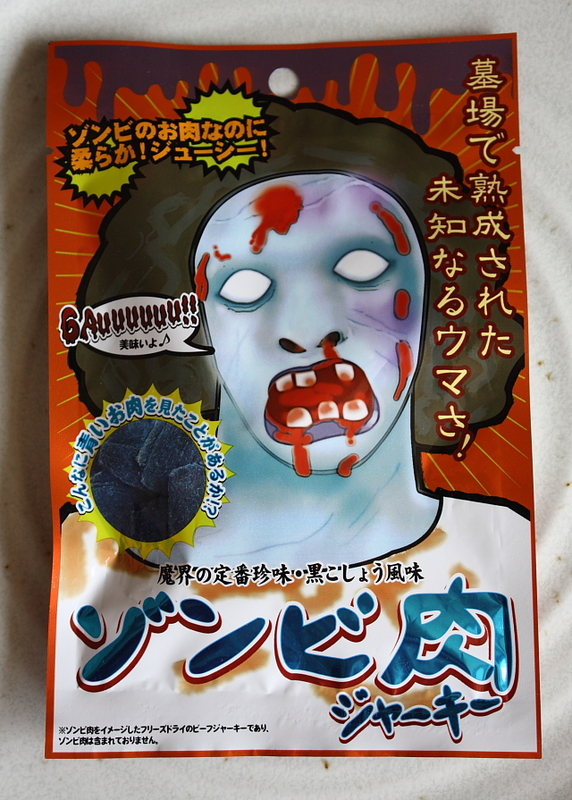 Abattoir – Rue Morgue’s Blog » Zombie Jerky!?! The Devil’s Demons » Blog Archive » ZOMBIE BEEF JERKY!!! zombie meat « ik ben moe. Ed Mann Walking - Updates, snacks, and games, oh my! Exquisite new Japanese Snack « CONSPIRAPORN!